Coriander Girl: Our wedding flowers! Just gorgeous. And you're so right about the boutonnieres -- my brother got married this summer and I remember teasing my dad about his floppy boutonniere as soon as we left the church! Very thoughtful of you! I am always so happy when I go to a wedding and the flowers are done by you!! I absolutely adore your work! And again, your wedding is just perfect! Wedding flowers are just amazing to seen in decorating a wedding ceremony. the flowers decorator is decor a fabulous to arrange all the flowers in reception time and outdoor wedding decorations. The indoor wedding also used more flower to decor. the wedding app have how to decor a flower in wedding. 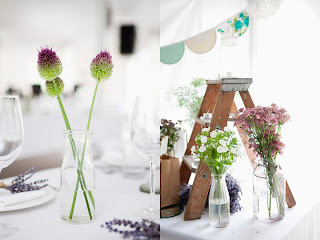 visit that wedding flower and enjoy to decor a flowers. It's a very nice information to share about the flowers. Thanks for sharing the wonderful photos of flowers. If any couples needs whole resources requirement of wedding, You may use the wedding app and plan the wedding easily. Bamboo is a versatile plant that can add so much to a wedding. It is fantastic to use as a motif, a design element, and as an eco-friendly material. For more about the wonderful and stylish ways to use bamboo in a wedding, read on. Sign-up for free registration on Matchfinder to find a beautiful life partner. Matchfinder has tons of profiles of tamil matrimony to choose your life partner from. Wonderful blog site! This crucial information as powerful reading tool for online readers. Keep writing as always. The flower and the photos are brilliant in this post nice. I love to see this photographs and all the details are in this post is awesome. Wedding flowers is just amazing and i simply loved it. the pictures were splendid . Thanks for sharing it . Really nice information for wedding flowers,I loved reading this page. You really provide very good wedding related information. Even it helps those who have found their life partner and planning their wedding. If all your flowers are roses, then the best idea is...dark green with a feathery texture. If you like the all flower look, why not add spray roses? These are.